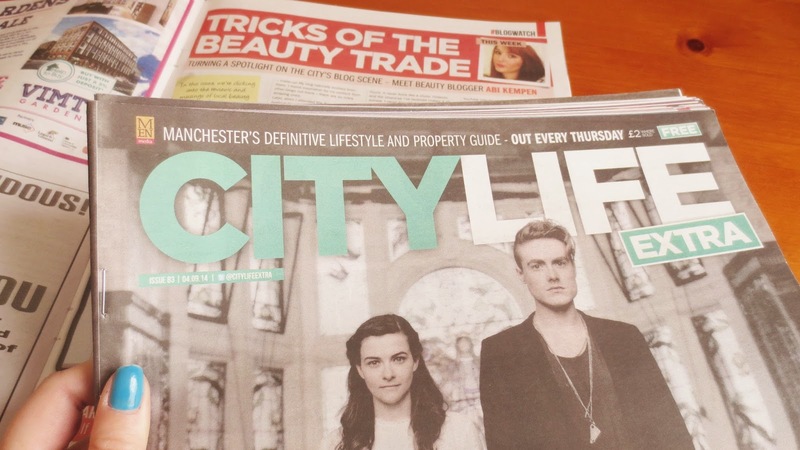 City Life Extra Manchester / Kemples In Print! 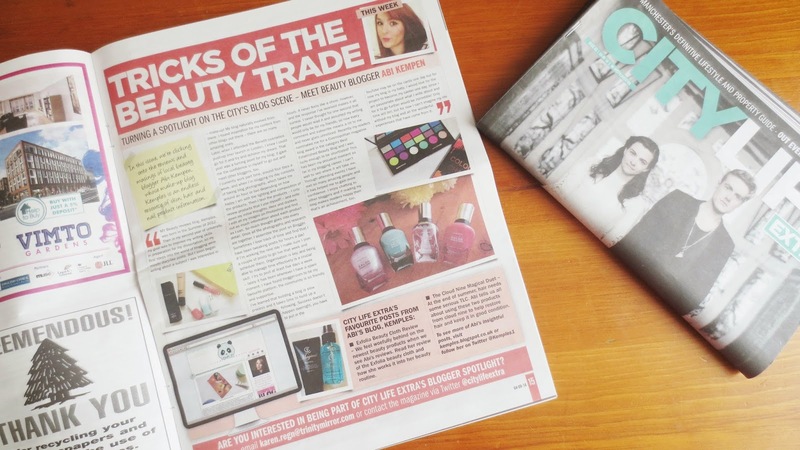 First of all I would like to thank City Life Extra for contacting me about this feature on my blog. I have been so excited to see it in print form for a couple weeks now. Its exciting to see your blog printed, even better when it is a local paper. 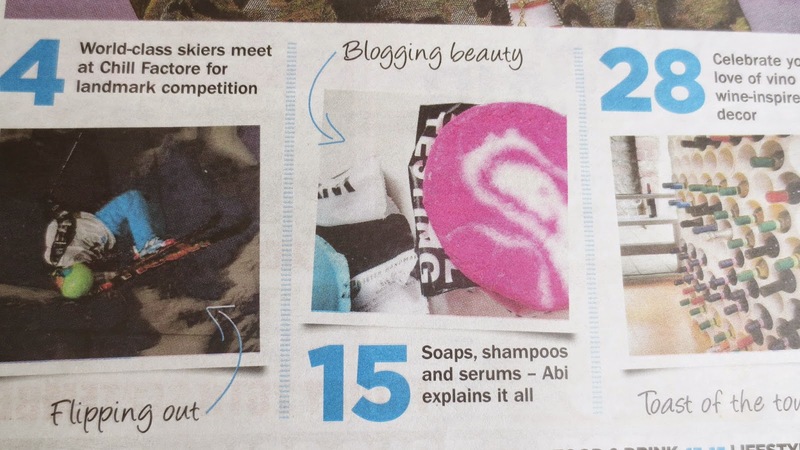 Its great to see magazines/ newspapers getting involved with bloggers and as a community it's great to share the love. I have been super excited all day about this feature and wanted to share it with you too, without you this could not happen. my blog means the world to me and I sent my mom a photograph of this feature and she was so proud, this makes me happy. 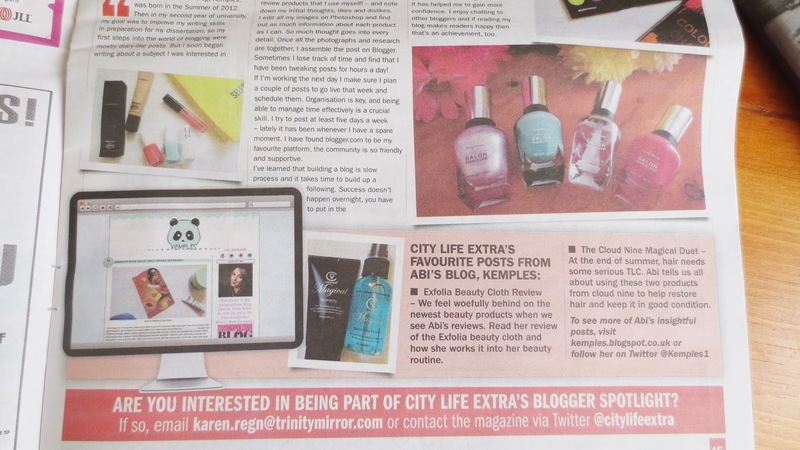 So a big thank you to my subscribers and City Life extra for this full page article on my blog. 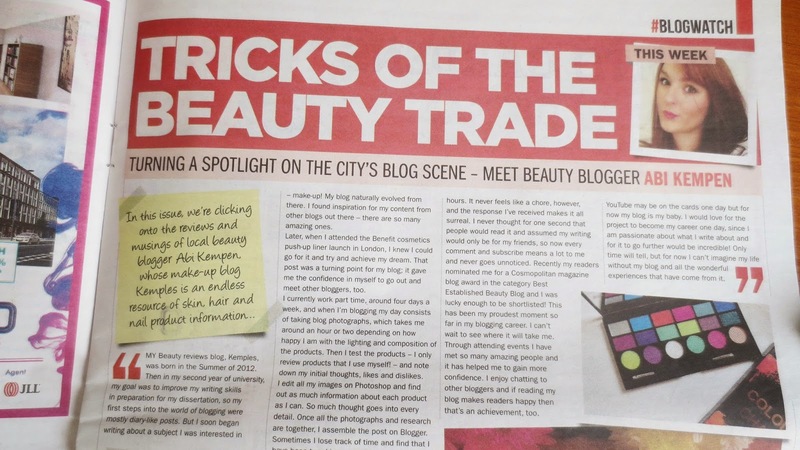 I am a Northern blogger and its exciting to see everyone get involved in the blogging community, to be called a beauty blogger makes me smile. Its a true passion of mine and I know it is for other bloggers out there too. I wanted to share with the Greater Manchester bloggers this opportunity to get involved with something special. Head over to City Life extras twitter if you are wanting to get involved with your local supplement. I feel super excited about this and hope you can get involved with it too. Amazing to have so much support and it means a lot to me when it comes from local people. If you are a Northern blogger let me know. Hope you have a lovely day and let me know if you get featured too. I enjoy finding new blogs to read everyday and its great to share the love and support for each other.